Technology moves so rapidly that the computer that you buy today, will possibly be obsolete in five years time. Even if the hardware doesn’t go obsolete, technological advances and needs drive manufacturers to create new products to keep up with the insatiable hardware and software needs of users. While manufacturers once prided themselves on making products that lasted for a lifetime, planned obselescence is now an accepted norm. This means that manufacturers actually expect that their products will be obsolete within a few years of production. The fields of I.T. and computers are probably where this is most apparent, leading to the birth of a whole new industry – computer refurbishing. 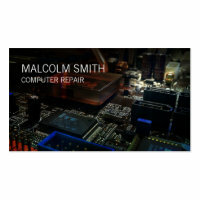 Refurbished computers are used computers that have been cleaned, reformatted, the operating system and software re-installed, and worn or damaged parts replaced with new parts and then re-sold at lower prices. Although computers may not have the “latest” technology and specifications after a few years, they still have many years of productivity left in them. Pretty much like cars, an overhaul can give a new lease of life to used computers. While many people give in to savvy marketing and promotion by computer makers, buying the latest models and end up using only a fraction of its capabilities, fact is, most people cannot afford to buy a new computer or replace their computer every other year, preferring to make do with models that are years old. Unless you are into gaming or require high-end specifications for your computing needs, budget constraints and familiarity with a particular operating system often outweigh the need for the latest technical gadgetry. Small companies, organizations, charities and schools are also often constrained by budgets that don’t allow them to get the latest computers at high price tags. Their computing needs may not justify forking out $1000 per computer when they could get 3 or 4 refurbished units at the same price. College students are notorious for losing and damaging their computers. Also, many of them are on tight budgets and cannot afford new units. The lower income folk also need computers. With everything these days being related to computers in one way or another, many parents would like to get computers for their kids, but cannot afford the price tag on new units. These are just some of the significant markets who would have a need for refurbished computers and laptops. Many computer makers and computer stores also sell refurbished units – an example would be Dell, where you can buy refurbished units online. They will have had many years of experience and employ staff whose sole job is to repair and refurbish used computers. While they may have large operations, they ARE also carrying large overhead – rental, wages, marketing and promotions etc. As you start out, you probably won’t want to compete head on with these guys. You’ll want to carve out your own niche in your locality or community. You’ll want to offer what the big names cannot offer – personalized attention, customization and lower prices. To enhance your professional image, you’ll want to offer a limited warranty on your units. That way, your customers can at least expect you to be accountable for the reliability of your products. 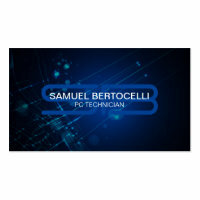 either be qualified as a computer technician or have extensive experience maintaining, troubleshooting and repairing computers. possess the diagnostic and repair tools to carry out the refurbishment. preferably have access to a supply of used computers or know where you can get your hands on them. have access to multiple licensing software – especially operating systems like Windows. liability insurance for unforeseen legal action taken by unsatisfied customers. have ample space or workshop to work. Often, companies prefer to lease their computers from IT suppliers (or the computer manufacturer themselves) on a yearly contract. The supplier then assumes the responsibility of maintaining and repairing their clients computers. When the lease expires the used computers are taken back or if an agreement is made to upgrade the computers, the computers are replaced with newer models. In either case, the supplier sometimes ends up with a large supply of older used computers which could be dealt with in two ways – to re-furbish them and then re-supply them to other clients or to sell/auction them to smaller IT stores/technicians. Ask friends and family if they have computers and laptops that they don’t need anymore or if they’ll sell you old laptops cheap. Run the computers through a detailed diagnostic checklist and take note of issues that need to be fixed, then do the necessary repairs. Once you’ve got the computers fixed and cleaned, re-sell them, making sure your cover your costs, labor and add a margin for your profit. Many times, small companies chuck their old computers in the store room after getting new units and never bother to discard them. You could approach these companies and ask if they would agree to sell those units to you as junk to be recycled. Make sure you negotiate for a bulk price that’s fair to them but profitable for you. Even if the computers cannot be refurbished, you can strip them of parts and store them. When you’re dealing with used computers, you never know when you’ll need a part from an older model. Look out for companies that are folding up and ask if they’d consider selling you their computers at bulk price. Look out for auctions by customs and enforcement departments. Unclaimed computers are often auctioned off and you might be able to get a good buy on a unit or units. Garage sales are great places to get used laptops and computers. Offer discounts on your refurbished computers if your customers trade in their old units. Even if the trade in units are not functioning, they’re stock to you or can be stripped for spare parts. Ask your friends and family to help spread the word that you have refurbished computers for sale. Get the word out on your social media pages that you have refurbished computers for sale. Advertise in the classifieds ads. Print business cards and give them out to people you meet. Post flyers on community notice boards etc. Offer your IT services to charities and non-profit organizations when they organize events. Network with people. How to Refurbish A Computer : WikiHow basic introduction to computer refurbishing. Manuals For Refurbishing Computers : Excellent resource for learning about the processes involved in refurbishing computers. How To Repair Your Own Computer : A basic run through of seven easy things computer repair techs do. Greg Presley from Joy Systems Inc shares a little bit about the benefits of buying a refurbished computer. Cube Computer Channel has a number of videos that teach you about computer refurbishing. Here, they talk about a great way they get computer parts for their refurbishing business. Some great tips on fixing and restoring a computer.